For five hundred years a statue of the Madonna has watched over Venice. Now, dulled by time and pollution, she is prepared for restoration. 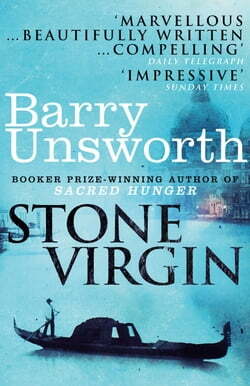 As Simon Raikes immerses himself in the painstaking task of cleaning and repairing, he is inexorably drawn to the stories of violence and lust which have... read more surrounded this stone virgin. Simon's investigations lead him to Chiara Litsov, the wife of a renowned sculptor. A dangerous attraction develops between them and it appears inevitable that once again the stone virgin will bear witness to passion, betrayal and murder.